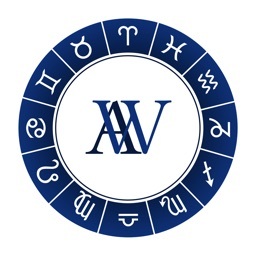 - Displays planetary positions with respect to Zodiacal Signs as well as Vedic Nakshatras. 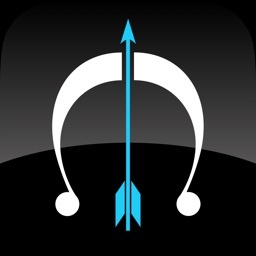 - Search location using iOS Geocoder. 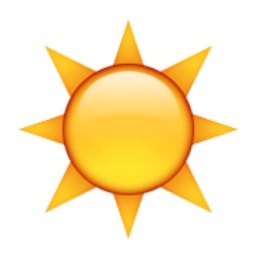 - Option to use Glyphs for North and South Indian Charts. - Displays Ashatakavarga for each house. 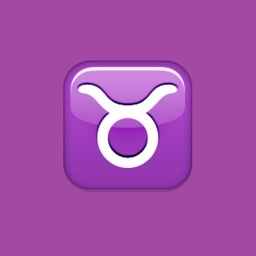 - Displays Planetary Strength (Shadabala) as total strength as well as itemized strength. - Calculate Planetary Periods i.e. Vimshottari and Yogini Dasa. Includes Mahadasa, Antardasa and Pratyantar. - Calculate Transits for any date and time. - 30 day ephemeris from the transit day. 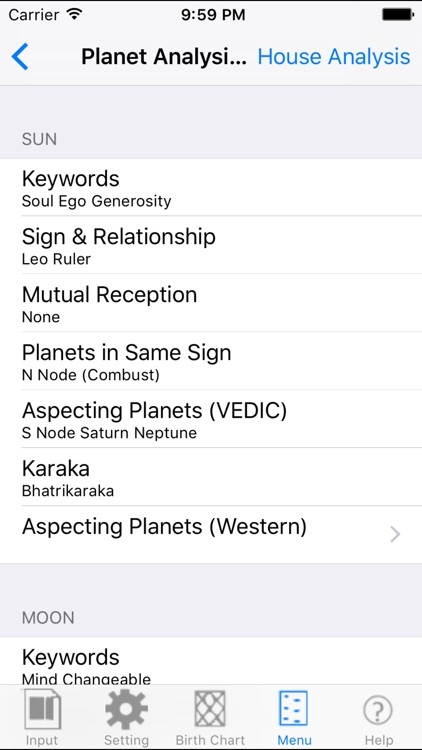 - Transits are also calculated for Dasa/Subdasa/Pratynater by simply clicking a button. 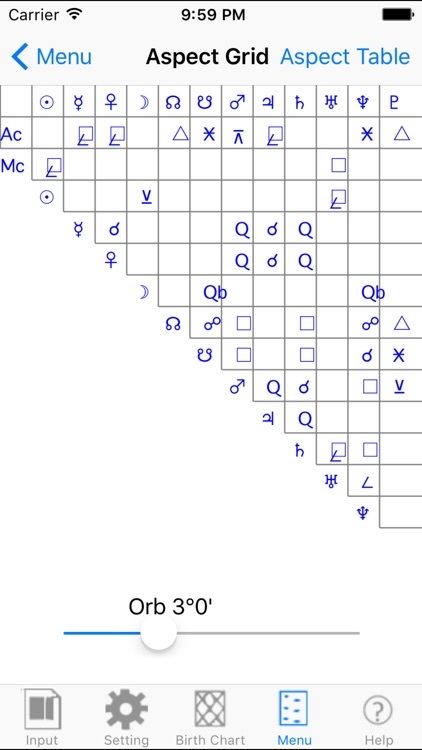 - Solar Return Chart (Varsha Kundali) for the place of birthday. 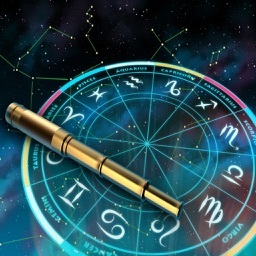 - Synastry Aspects for horoscope matching. 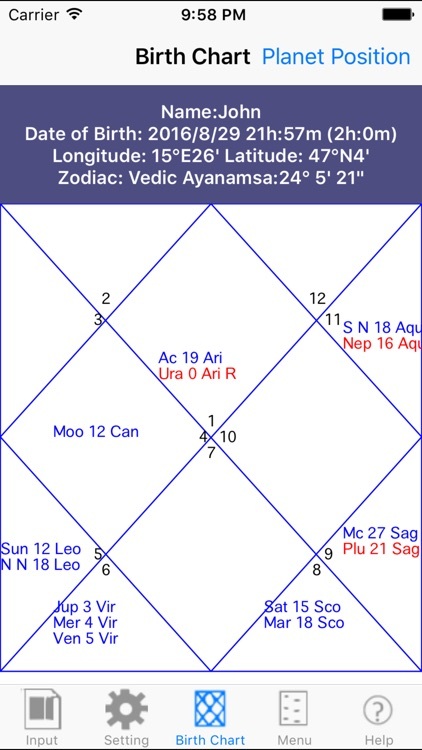 - KP Charts, KP House and Planet information for Nakshatra Lord and Sub-Lord. 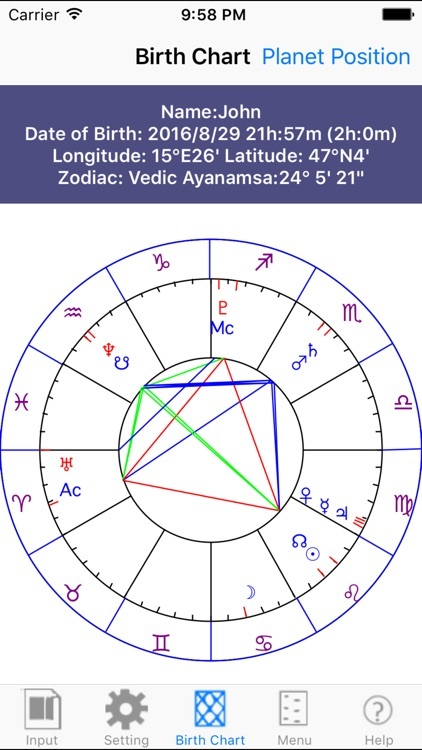 - Planet Analysis By Signs (Exalted, Fall etc) and House Analysis. - Shad Bala (Planets Six Fold Strength) and Bhava Bala (House Strength). - Solar Arc Direction for Prediction. - Configure to set chart style, default location information, mean or true North Node (South Node) positions. - Capability to zoom charts. 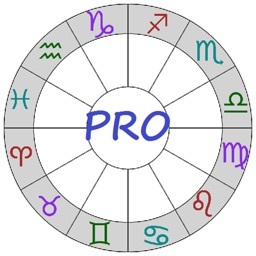 - Choice of Hindi/Sanskrit names for Planets and Signs. 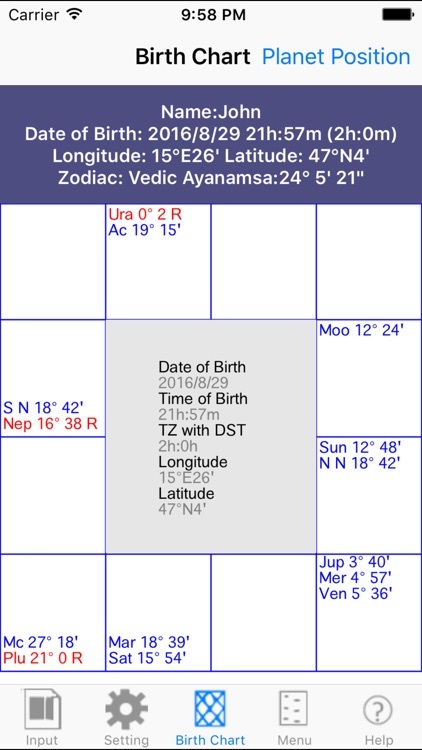 Ayanamsa can be now customized from Lahiri,Raman,KP and others for Sidereal Zodiac.